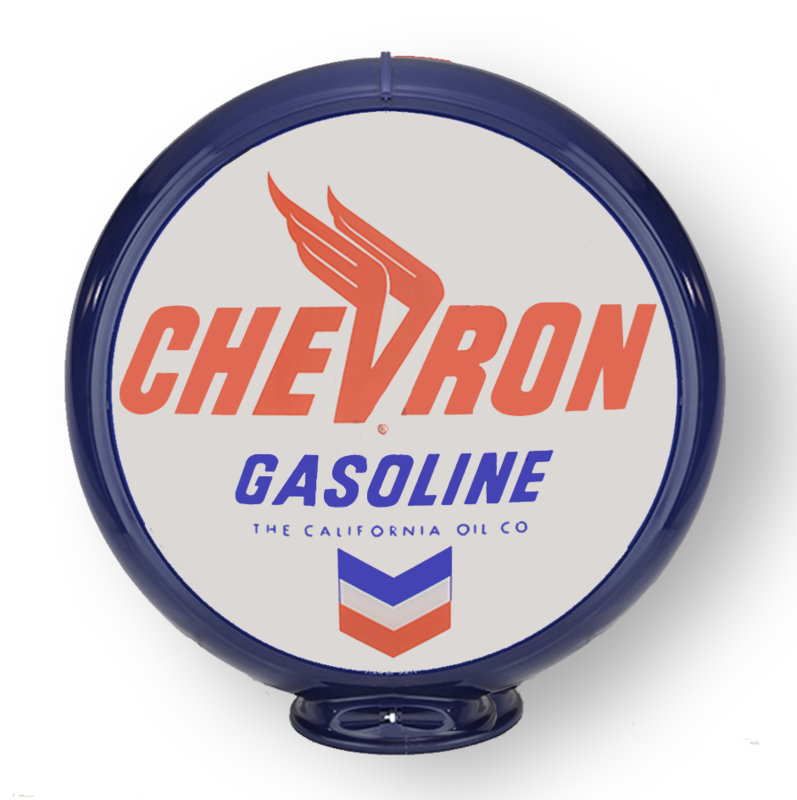 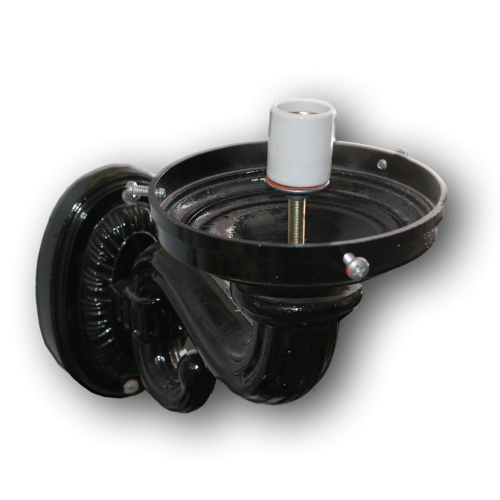 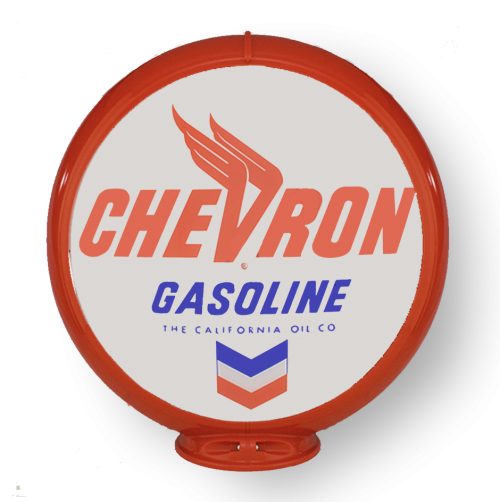 Chevron 13.5″ gas pump globe includes two glass faces mounted in your choice of plastic body color (please choose globe body color). 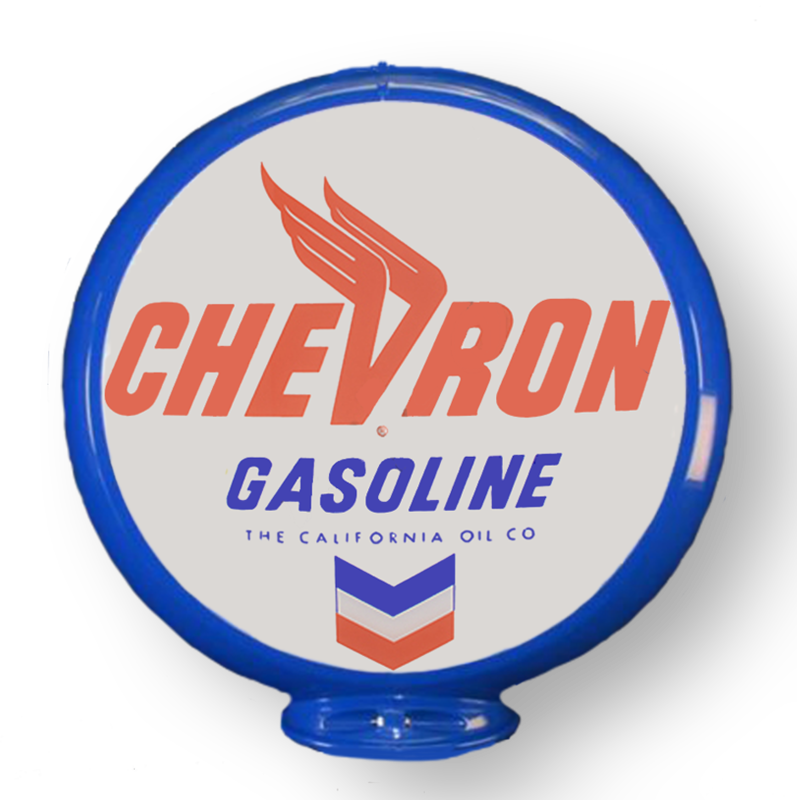 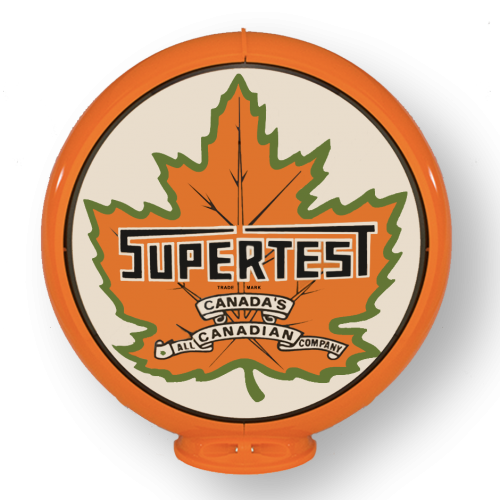 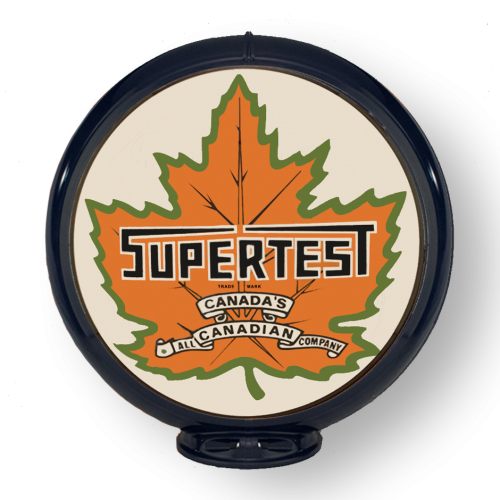 All of our glass advertising globes feature officially authorized brand marks and logos. 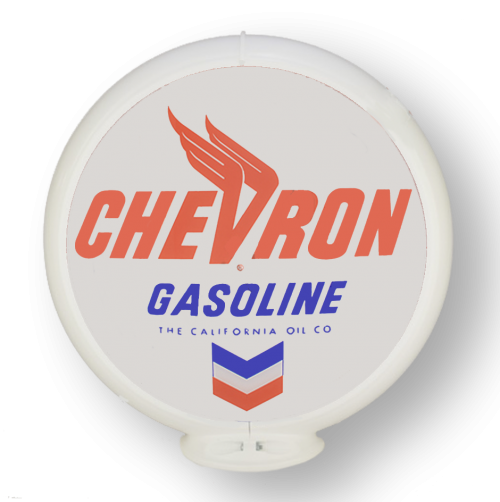 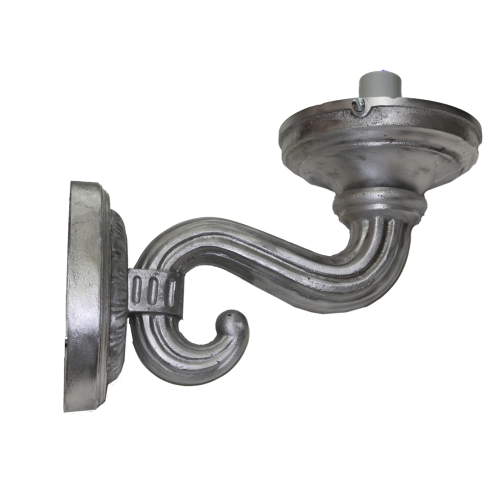 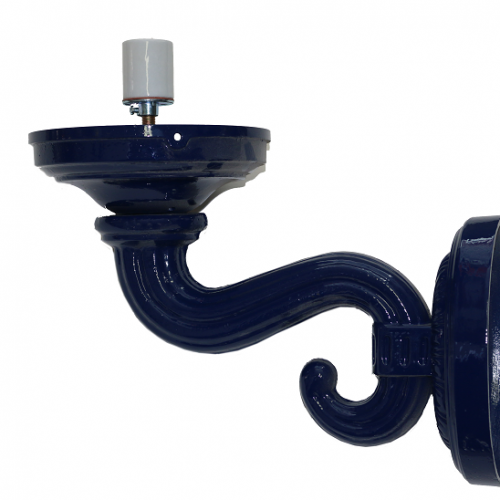 You can also purchase this globe to use with one of our wall sconces for the front of your garage!